The kids return to school at the end of this week and I return to making food for the lunch boxes! It has certainly been a nice break from the regular routine. 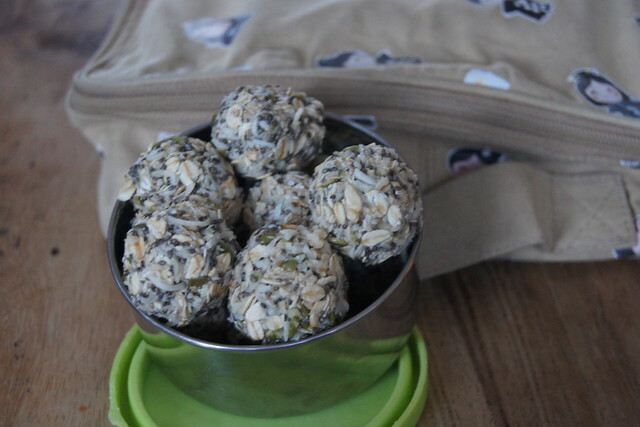 These school lunch box friendly balls have the lovely sweetness of honey and are packed with goodness from the oats and seeds. I used tahini with the honey, but you could use nut butters if your school allows it. 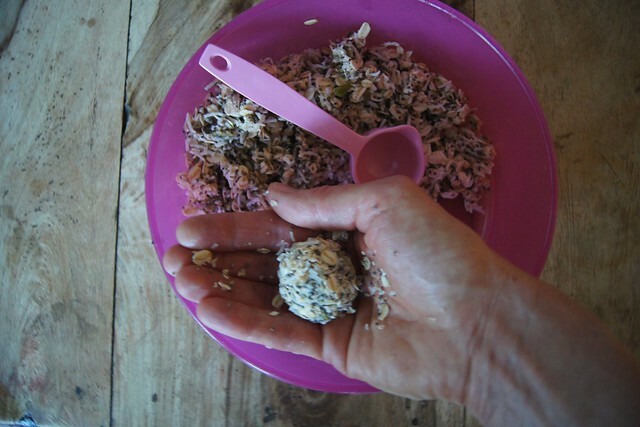 The trick to forming the balls is to have wet hands and to use a decent amount of the mixture. They make a lovely sweet treat for the lunch boxes. 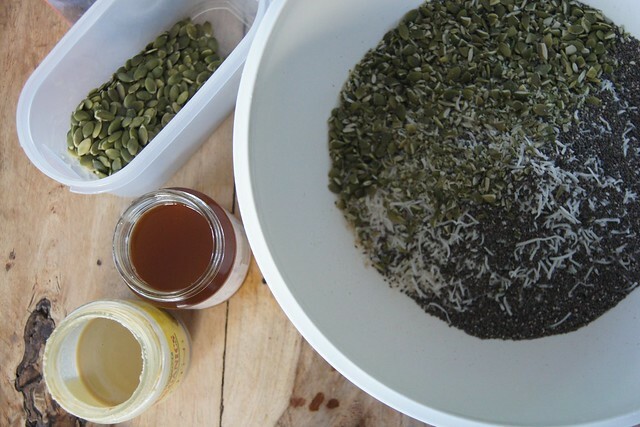 Add oats, coconut, chia seeds and pepitas into a large bowl. 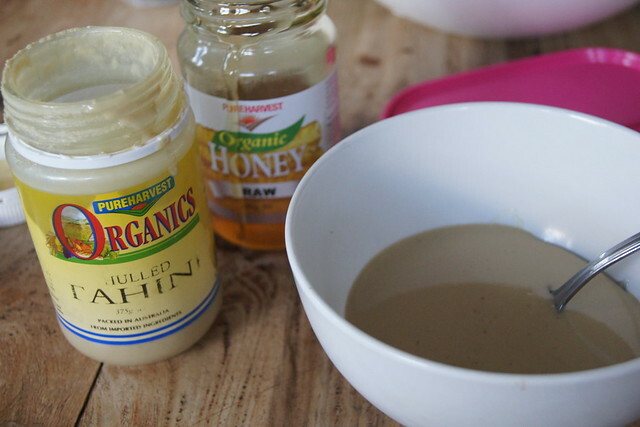 In a small microwavable bowl add honey and tahini. Heat on high for 20 - 30 seconds and then stir so it combines well. Pour the honey mix onto the dry ingredients and combine well. Allow mixture to set a little in the fridge (about 30 minutes). Once the mixture has chilled, roll into balls. Wet your hands, then using around a heaped tablespoon of mixture, roll it into a ball, squeezing tightly to form the shape. 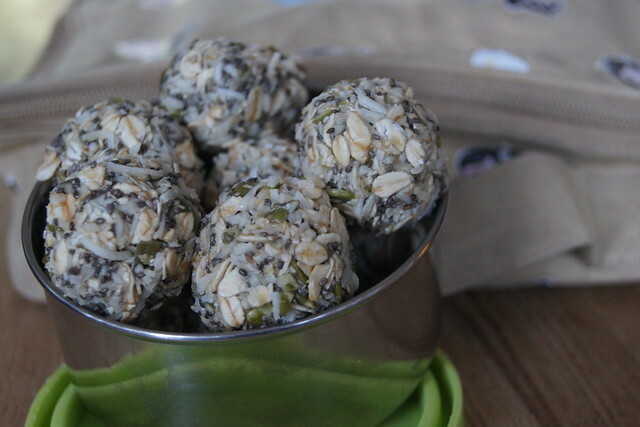 It is harder to make the balls with less mixture, so use more if you are having trouble. Once all the balls are made they need to be chilled for at least a couple of hours before they are ready. Alternatively if you are not going to eat them straight away you can pack them into a freezer container and pop them straight into the freezer. Then just get them out as you need them. Makes around 32 - 36 balls. After an easy way to pack school lunches? 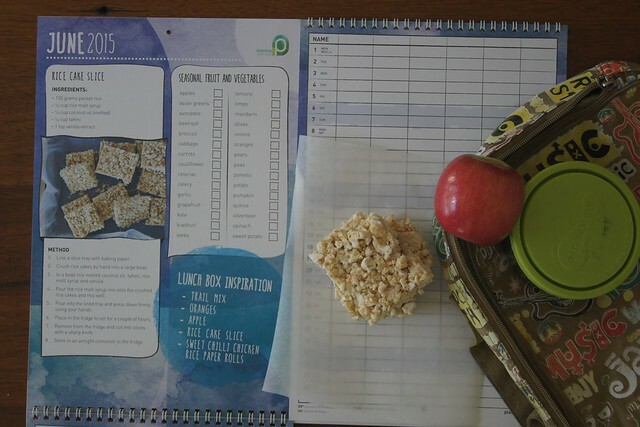 The Planning With Kids 2015 Family Planner Lunch Box Calendar was designed to help parents put together nutritious lunches that are easy to pack and that kids will actually eat. The planner section then lets families keep track of individual appointments, activities and commitments. A guide on how to create a simple lunch box process. 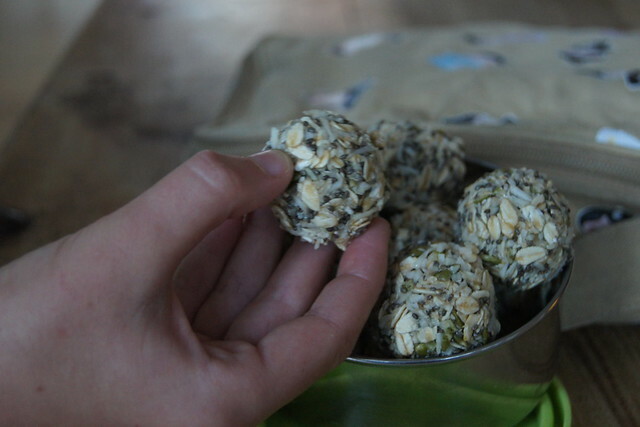 A photo and recipe for a gluten and nut free item you can make for your kids’ lunch boxes each month. An example of what to pack in the lunch box each month. A list of common seasonal fruit and veg for each month. A planner section where you can keep track of activities and appointments for the kids. To read more about the calendar please click here. Are your kids back to school this week?